The use of diode lasers is seen across many different industrial and commercial settings. In fact, it is difficult to find an industry that does not take advantage of laser tools. In doing so, they are able to improve the quality of the work going into the finished product, as well as the time that it takes in order to manufacture it. There are limits, however, to what is available through a single diode laser but this can often be overcome through the use of diode laser stacks. How Are Diode Lasers Stacked? When you use diode laser stacks, you are able to effectively increase the optical output that is available in the individual diode lasers that are included in the stack. This is commonly done in a vertical array, which stacks the diodes on top of one another and forms a two-dimensional array, consisting of edge emitters. This is often able to boost the power of the individual diode lasers significantly. A second way to stack diodes is horizontally. This tends to be less efficient, but it does permit the stack to be cooled more easily. If a horizontal stack is utilized, it may also be able to provide additional power output from each of the diode lasers that is included in the stack. The overall power, however, may be less than a vertical stack because it does not typically allow for as many lasers to be included, due to the arrangement. There are certain limitations to the laser tools that are using laser stacks because the beam is less focused. There are still many ways in which they can be used, including in welding metals and plastics when it is not necessary for you to have a focused beam. It is also effective when used in certain types of measuring equipment. The printing industry makes wide use of laser tools that include the diode stacks, as do many other industries. The medical field has also made wide use of lasers stacks, including such common areas as laser hair removal, ophthalmology and dentistry. Various types of surgery may also be completed using these types of laser tools. The benefits that it offers to the patient include less of a risk of bleeding and a shorter recovery time. 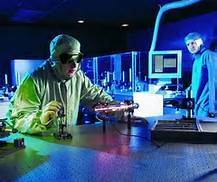 One other field that makes wide use of laser tools and the diode stacks that drive them is the science and research field. Lasers are no longer a matter of science fiction but now, they are science fact. The additional power that is provided through a diode laser stack can be used in various forms of research which will help to benefit our lives through new or improved products. The characteristics and options that are available within these laser tools may vary from one tool to another. Even among those that are similar, such as cutting tools or measuring tools, there will be options that need to be considered. By making use of diode laser stacks, you can get the power that you need while at the same time, maintaining quality in the work that is provided. Mark Williams is the author of this article about laser tool applications. He is an expert in laser technology and has collaborated with companies like Coherent Germany to work on laser projects. You can visit their German website at coherent.com, for more information. To know more about him, connect with him over at Google+.